l love it when we start to hit Spring and the time changes, bringing us longer, more beautiful days! I promised to share anecdotes about the past 5 years of our MAD-journey. The first of 5 blog posts about our journey can be found here. Read on if you would like to learn from some of our mistakes. Or just to become a little better at analyzing your own life and work to ensure you don’t miss the key lessons that exist at every moment. Either way, thank you for reading, for celebrating our journey with us, and for being a part of our MAD-family. If you logged in to MAD-learn last week, you may have noticed a few new things. Guided tips help give first time users a quick tour of MAD-learn. Hopefully this will encourage a greater comfort level with–and use of–the full power of MAD-learn’s capabilities for your students. Enjoy! By the start of next month, the MAD-store app will have a new look and a bunch of new capabilities. We are very excited about the new app coming to iTunes and Google Play Stores soon, so be on the look and hit UPDATE when you see it! 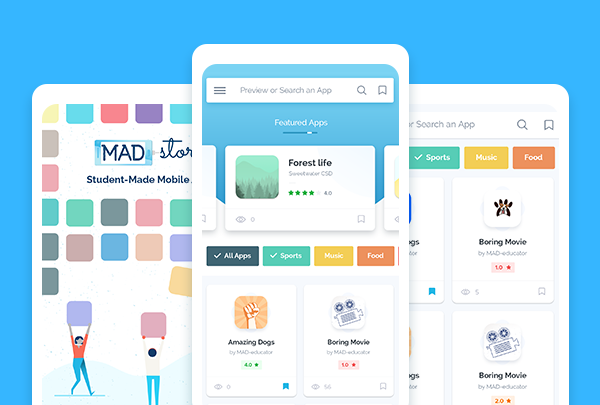 You will be able to find hundreds of apps that have been published to the MAD-store more quickly and easily. We look forward to the feedback you and your students might have, so please feel free to share your thoughts about both of these updates! 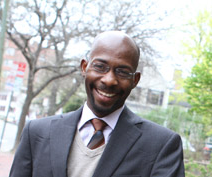 Spot Kimberley at the Urban Forum 2019 “Cyphers, Circles, and Cerebration: An Out-of-the-Box Pedagogical Experience” in Buffalo, NY early this week and then at the BABSE Slice Education Conference at Broward, FL towards the end of the week. You can also spot Alefiya at the ASU GSV Summit in San Diego early April where MAD-learn has been invited to present. Let us know if you will be there too! Alefiya and Gregg were spotted in Pittsburg last week meeting with some potential partners (it was a good excuse for Alefiya to FINALLY visit Gregg in his hometown after all these years). Kimberley and Alefiya were with our partners at NFTE presenting to the CTAE teachers in DeKalb County, GA a few weeks ago and last week you saw Gregg at the Nassau BOCES SEL Summit and Kimberley at the NCTIES conference in Raleigh, NC. Follow us on Twitter @MADlearn to get the scoop. Although this month’s MAD-teacher is not regularly found in a classroom, the impact he has made on students lives through helping scores of teachers be better at what they do is phenomenal. Moise Derosier is an “admin extraordinaire” when it comes to staying on top of things, from encouraging schools to take advantage of innovative opportunities, to arranging coaching days, to getting his district’s IT folks to unblock important elements needed for the students to produce their apps. He is a quiet and unassuming juggernaut who has been overseeing the successful implementation of MAD-learn at eight middle schools through Palm Beach County. We enjoy working with him, not only because we are confident he will always get things done, but also because he is such a friendly person. We are looking forward to continued success for students in this Florida district, and we value our partnership with Moise and his colleagues! 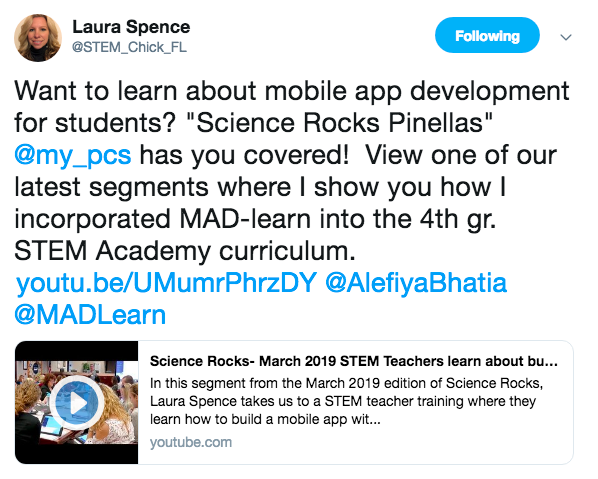 Laura Spence and her team at Pinellas County Public Schools just launched an episode of Science Rocks Pinellas that features their work with MAD-learn! Check it out here.